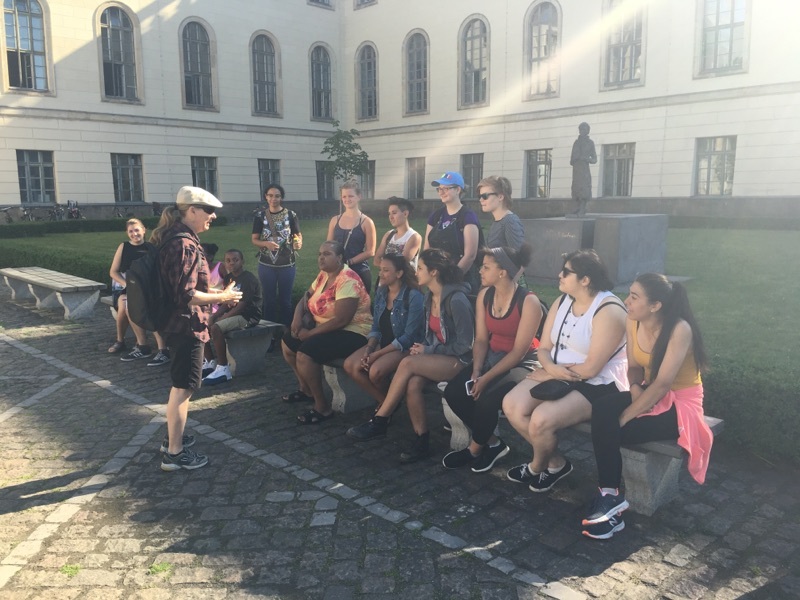 At nine this morning, Carolyn Gammon found our class outside of Humboldt University in East Berlin. All of us sat on the cement, tucked into a corner of half-shade and half-sunshine. 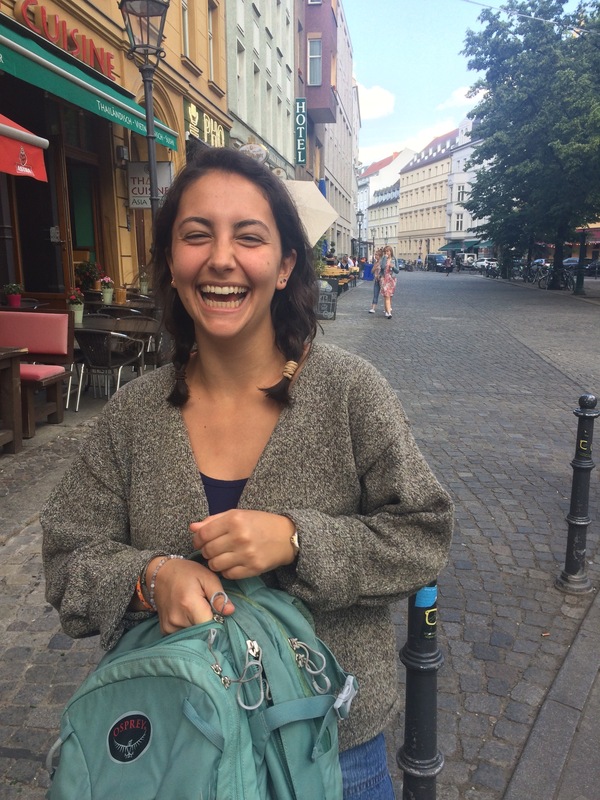 We first walked into the courtyard of the university, where we sat on benches and she began by saying, “We don’t know what we don’t know.” In the context of the tour, this meant that there is always a lot that we don’t see or learn when we take tours. She also connected her saying to recent political events. For instance, Recep Tayyip Erdoğan, the President of Turkey, publicly critiqued Germany for committing the first genocide of the Herero and Namaqua in the 20th century. This information was not publicized a great deal, and Carolyn believes that the media is intentionally suppressing this information. 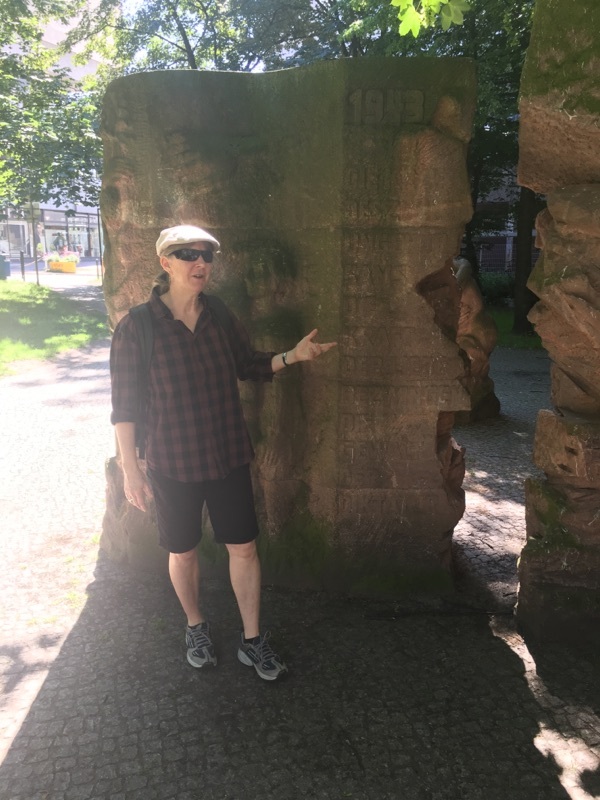 This clearly set an interesting stage for our tour about the Jewish history in Germany, as it encouraged us to think about the kinds of narratives we learn and those that are suppressed. Our thinking about this continued when we learned there was a recently constructed statue of Lise Meitner behind the benches on which we sat. Meitner discovered how to split the atom, and is considered by some to be deserving of the Nobel Prize. However, she most likely did not ever receive it due to her identity as a Jewish woman. We found the same theme of privileging certain identities when we entered the university building. In the large entrance room of the second floor, photographs of male German scholars lined the walls, celebrated for their accomplishments. We had to walk into the small hallway on the side to see the photographs of female German scholars, who seemed almost hidden in comparison. It is noteworthy that many of them were Jewish as well. The photographs appeared to have been added to the collection as an afterthought. Afterwards, we visited a park which had previously been a synagogue, before it was bombed. Nearby, there had been a pre-deportation prison. When the propaganda minister wanted to remove all of the Jews from Berlin, they were taken there as a surprise, right when they arrived to work one morning. Because they were Jews married to non-Jews, 2000 white, non-Jewish women peacefully protested, because they wanted their husbands to come home. 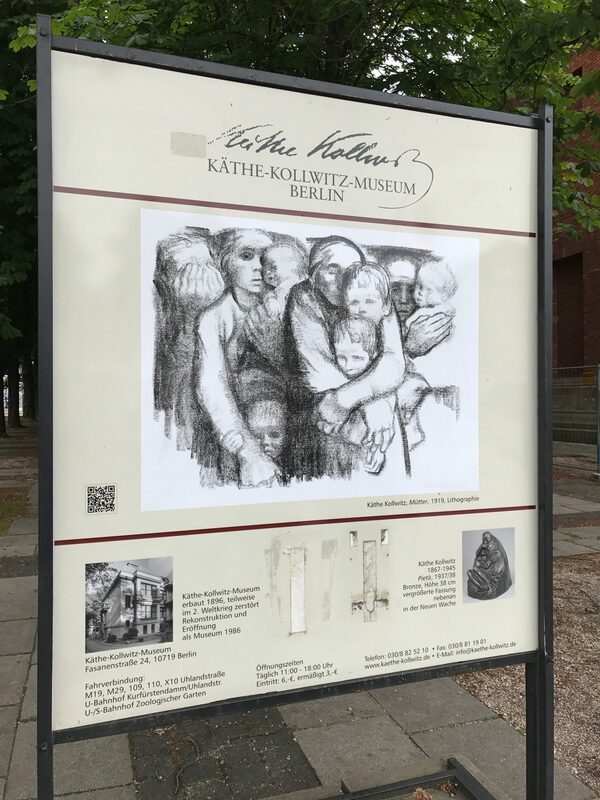 The men were released, which just goes to show how much of a difference white, non-Jewish Germans might have made if they had tried to stand against the Nazis, because if the women had not fit the very specific identity requirements of the Nazis, they likely would have been murdered. 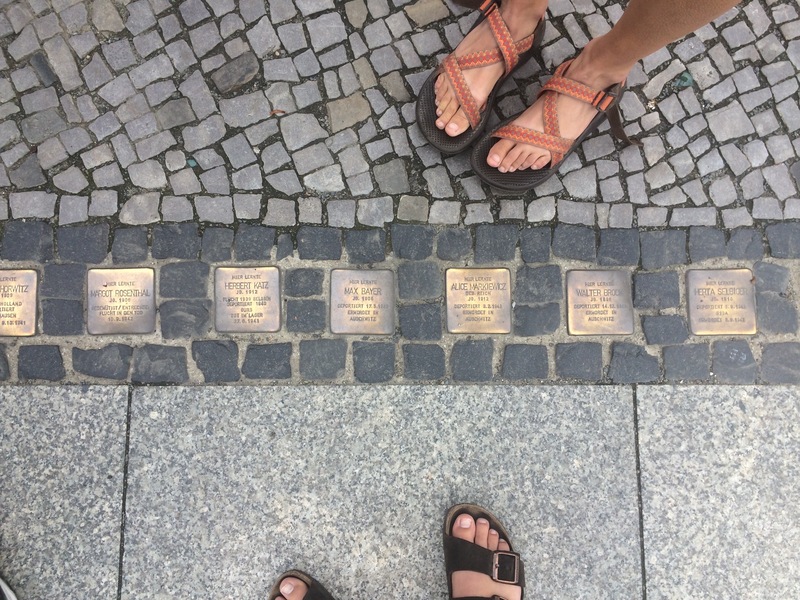 After our break, we learned about the small gold plaques in the ground called stumbling stones that commemorate Holocaust victims created by artist Gunter Demnig. There are 55,000 placed all over Europe. The first ones we saw commemorated a 2-year-old and 12-year-old who were murdered at Auschwitz in 1943. 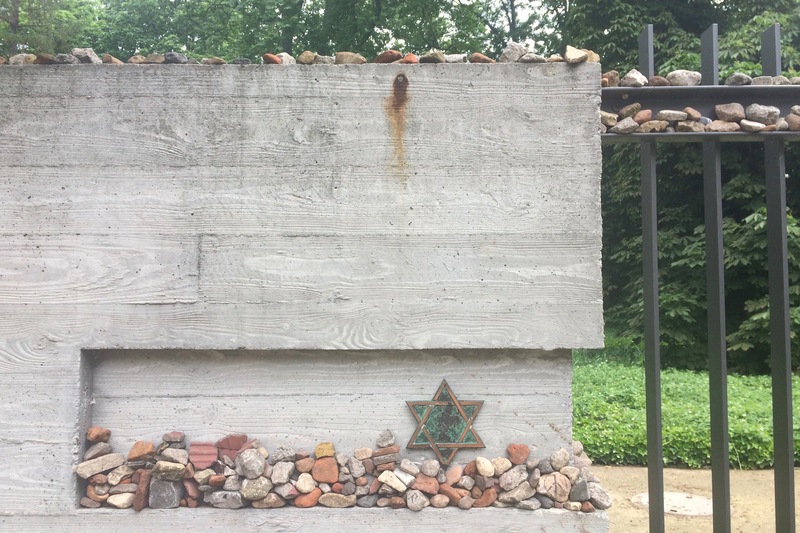 In “The School Lives of Jewish Children and Youth in the Third Reich,” Marion Kaplan writes, “By July 1941 about 25,000 Jewish children and youth under age 25 remained within the borders of pre-1938 Germany. Close to 20,000 under the age of 18 were murdered” (49). The way in which Nazis murdered so many young children really demonstrates how much they had dehumanized the Jews. The tendency, evident in Holocaust scholarship of 1960s and 70s, to privilege the experiences of one group (in this case, the ‘strugglers’), while turning our gaze away from other groups. In this way, Jews outside of the ghettos and camps and non-Jews persecuted and murdered by the Nazis (namely, Sinti, Roma, homosexual men, Communists, Jehovah’s Witnesses, Hutterites, people convicted of crimes, and Slavs), have become marginalized in Holocaust discourse (24). On the one hand, I don’t think it’s at all okay that the other groups were often left out of the discourse, since it could be easily interpreted as the message that their lives don’t matter as much. On the other hand, I do understand why the Jews have been the focus, since it was the Nazi’s most successful attempt at “wiping out” an entire community. 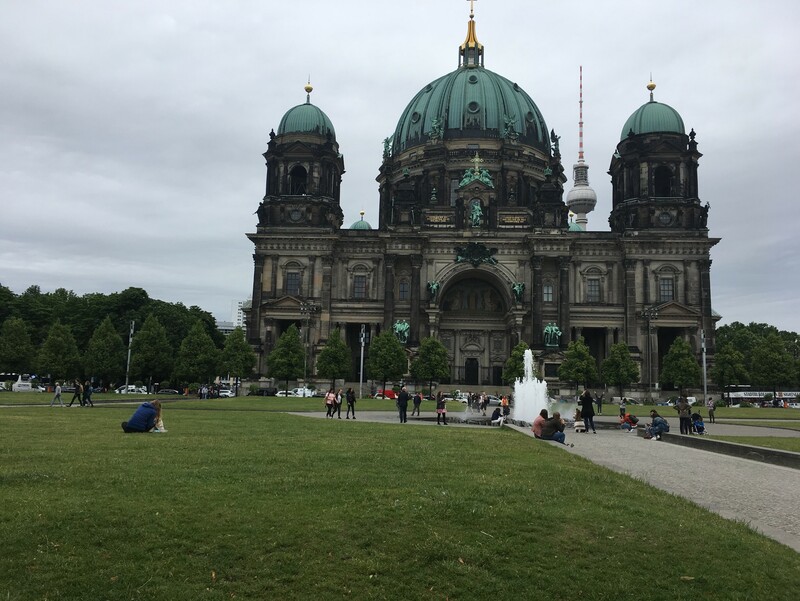 Throughout the tour, I kept thinking about how the German-Jewish history has affected Germany even in the contemporary period. In the “Foreword to the English Language Edition” of Showing Our Colors: Afro-German Women Speak Out, Audre Lorde asserts that in 1990s Germany, there was still a “dormant neo-Nazi element,” which resulted in the continuation of “aggressive racism and anti-Semitism in Germany” (xii). 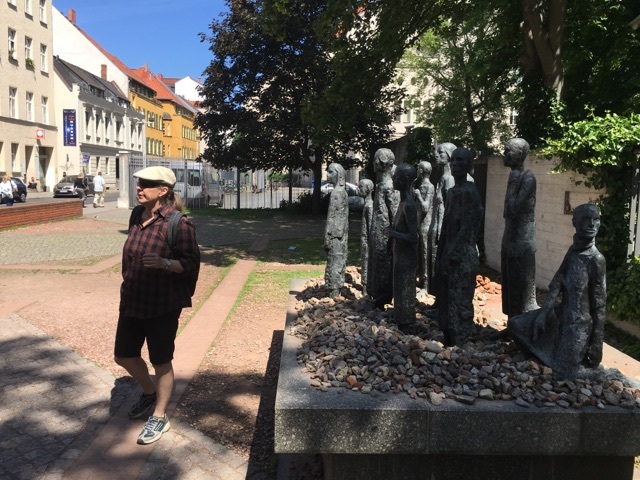 Twenty-six years later, Carolyn said that she believes Germans are facing their crimes against humanity. 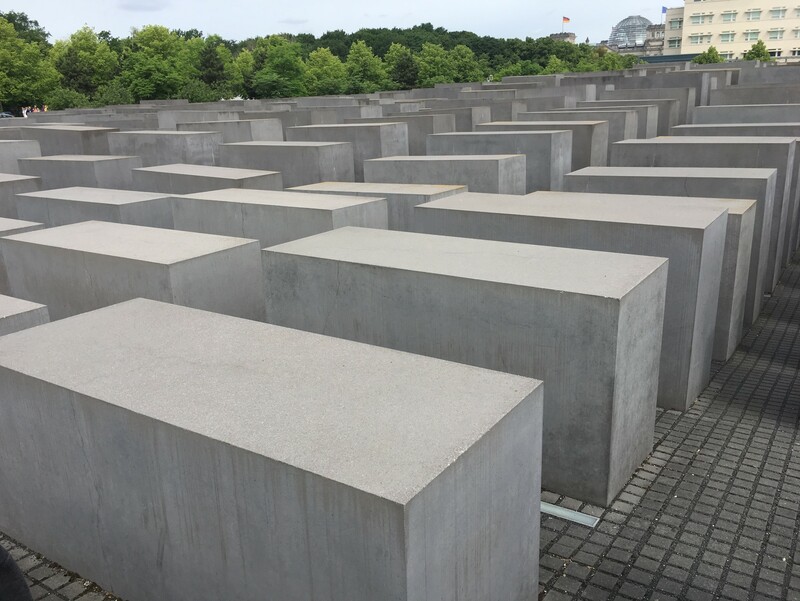 However, they need to extend their acknowledgement to other victims as well, such as the Afro-Germans for whom there is no Holocaust memorial. 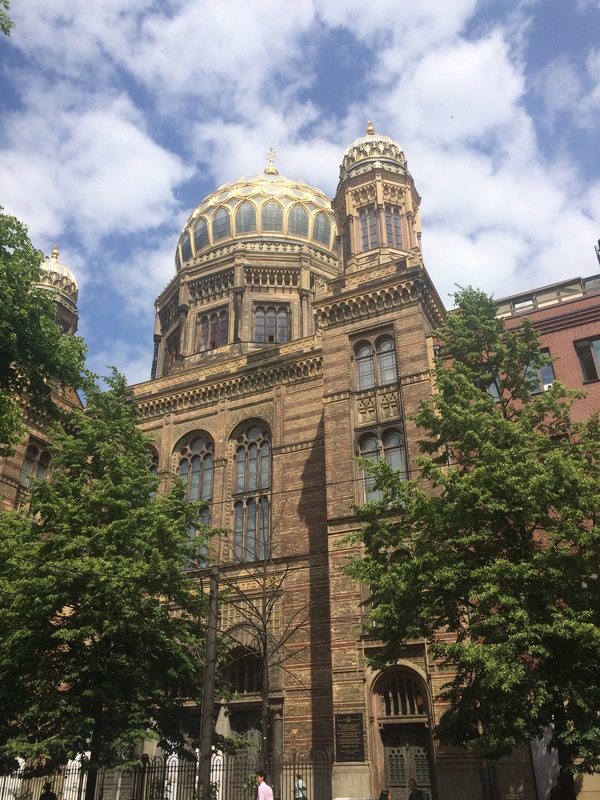 We ended our tour outside of the Neue Synagoge, which was one of the targets of Pogrom Night (also referred to as Crystal Night). The Jews have always had to fight to survive, and I thank God that the Nazis were unsuccessful in wiping us out. It is terrifying to think about such atrocities, but absolutely necessary in order to try and prevent history from repeating itself. All in all, it was an extremely educational tour, and I think that everyone in the class was appreciative of the opportunity. 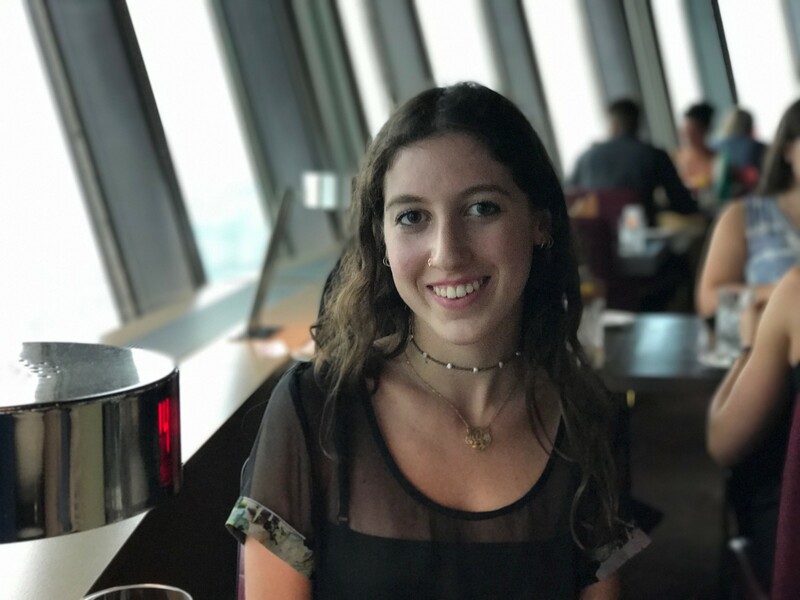 Amanda Cahn is from Portland, Oregon and a rising senior at Colorado College, with a major in Feminist and Gender Studies and a minor in Spanish. She is passionate about advocating for reproductive rights and has worked with Planned Parenthood teaching sexual education in public high schools, as well as analyzing statistical data from their various sexual education programs. 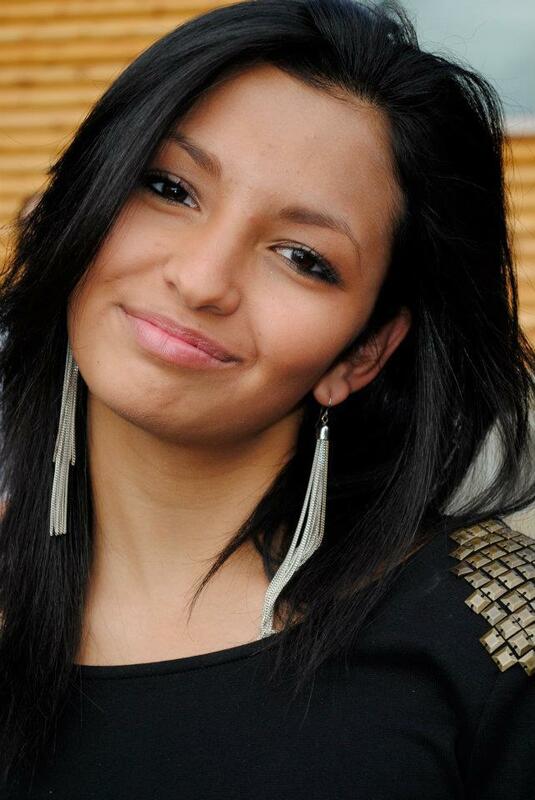 In her free time, she enjoys hiking, reading, and spending time with friends.